One thing is for sure, if you haven’t already, you need to upgrade to Office 2007 as soon as possible. SharePoint 2010 is all ribbon based and if you’re not used to, it is going to be a long adoption process for you. You need the experience now so you can smoothly transition to SharePoint 2010 when the time comes. WSS is now called SharePoint Foundation. Size of lists and libraries is not going to be a problem; you can store 50 million items in each of them now. Tagging is new and is folksonomy driven – this means that users decide what the tags should be and the majority vote wins! My Sites will have the ability to check who you email the most and suggest colleagues for you automatically. Your colleagues are very important in SharePoint, they make up the whole social structure. A built in Silverlight application on My Sites makes viewing colleagues pretty groovy! 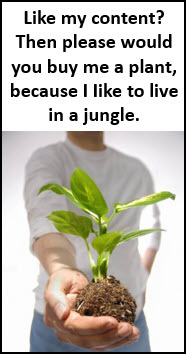 My Sites also have status updates like Facebook now. Two other new features are Notes and I Like It. This is similar to the Like feature on Facebook and the comments box on your wall. You can like and post notes just about everywhere. Editing your landing pages is much much easier now. No more in and out of the Content Editor Web Part every 5 minutes, you just click Edit and change, and drag images around as it suits you. You really need Office 2010 as well to get the best of this version of SharePoint. Especially now that you can take your documents offline and sync them back automatically – but you need Office 2010 for this. It works the same as writing emails when you’re offline. As soon as you plug back in to the network, your Outbox automatically sends the emails. Same thing when you use SharePoint Workspaces, the docs automatically sync up. Great news for people always on the road is that if you have a Windows mobile phone, you will be able to use SharePoint on your phone, even download documents to it, work on them and sync them back. Not only that, but Alerts can now be sms’d to you if you like. Themes are completely different and a little tricky to operate. I’m not so sure I like the way this has been done, there are more colours and you can change just about every element of the page one at a time. This takes some getting used to and is going to be a great time waster because it’s going to take hours to decide how you want your team site to look. Custom branding is going to be affected as a result. The migration could be a problem. Save yourself a click or two with the Email a Link option by default on the ribbon. A great new addition is the Check Permissions button! One click and you can see who has permission to what. The rest of the People and Groups settings are definitely not as easy at first to manage though. SharePoint Designer is a breeze to manage – you can disabled access at a server level or per site collection. SPD is completely different and editing the page is not as easy as it used to be for end users. The web part zones are currently in tables, they aren’t anymore in the 2010 version. You need HTML experience to do that. It takes some practice finding the things you are used to. (As usual, don’t try this at home until you’ve been properly trained!). Storing images in a central place is available for wikis called a Site Assets Library. FAST search is awesome but you need a separate install of FAST to make it work, it is also part of Enterprise Features and you need an additional server license for it. Viewing presentations that come up in the search results it really cool, you can click through all the slides to make sure it’s the right one before you open it. The refinements options will make searching breeze, especially in the banking industry. Site Actions and View All Site Content links have both moved, the latter is now called All Site Content. There is a feature called Office Web Applications installed which means you can edit a document without Word, Excel, PowerPoint or OneNote having to be opened. You can edit it these documents without leaving the browser and save them back then and there. People search is now phonetic, so if you typed in Veraneek, it would give back “Did You Mean Veronique“. You can create your own search scopes; for example images, videos, customers, etc. (Like searching Google Images instead of Google). Managed metadata is a biggie, and will take 3 more blogs to explain. Here is a pretty good post in the meantime. This will not be available in SharePoint Foundation. SharePoint 2010 should be ready in June this year. 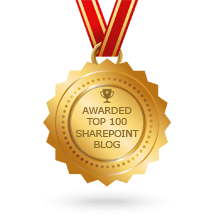 Next Introducing SurfPoint – Durban’s SharePoint Community!